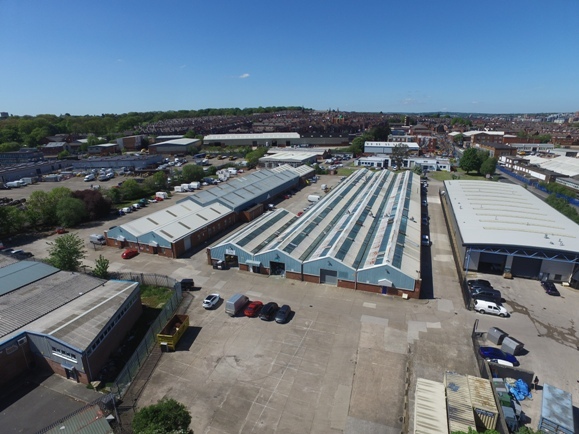 Yorkshire development and investment company Glentrool Estates Group has bought a Leeds multi-let industrial estate for £2.94m. Glentrool has acquired Astra Park in Parkside Lane, Hunslet, from the John Laing Pension Fund. The 71,924 sq ft estate comprises 16 units, which are all occupied. Tenants include Rhodar Ltd, Thermo Logistics, The Leeds Sofa Company and Avanta UK Ltd and the units range from 2,576 sq ft to 10,342 sq ft.
Lauren O’Toole, property portfolio manager for Ilkley-based Glentrool, said: “This is a significant purchase for us, underlining the fact that we are now actively on the acquisition trail. We are looking to expand and diversify our portfolio. “Astra Park ticks many boxes. It is fully let, with excellent tenants on strong covenants. There is potential to pro-actively manage the park, by improving the quality and the standard of the estate. There is also space to expand and develop the park in the coming years. “It is also superbly located, with Junction 5 of the M621 just 1km away. The M621 links swiftly to the M1 and M62, providing direct access of Yorkshire’s superb motorway network. Leeds city centre, meanwhile, is only 1.6 miles away. The Leeds office of JLL advised the John Laing Pension Fund on the deal, while Glentrool has appointed Carter Towler as the managing agents for Astra Park. Glentrool are currently on site at Sherburn2, a superb new 75-acre employment park by Junction 42 of the A1 (M), which will create up to 2,250 sustainable new jobs.